Nowadays, we can easily switch on and off our electronic devices, using just a remote controller by leaving this device in a waiting state called Standby. This feature, while comfortable, is not exempt of consequences: the controller’s receptor and other internal circuits are still consuming electrical power, being reflected in the bill. 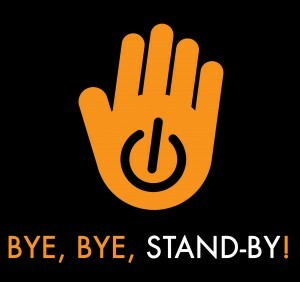 The standby system has caused an enormous contradiction, by making life easier for users an unprecedented energy problem has been created, an unprecedented energy problem; the devices are still being fed a great amount of energy that ultimately goes nowhere, thus it is wasted. Over a year, the device might have consumed more power in standby mode than during standard usage. According to a study by the European Commission relative to energy efficiency planning in 2007, around 3,700 million electronic products in the EU consumed approximately 50 TW/h during standby mode, resulting in an energy cost of 7,000 million per year. This equates to an associated environmental cost of 20 million tons in CO2 emissions. To solve this issue and get rid of the standby mode by completely connecting or disconnecting the device in use, I introduce the following patent, recently registered in the OEPM. This new Standby circuit requires no power consumption in order to listen to the on/off signal. It may be difficult to believe how an electronic circuit could work without the need of a power supply, as well as being able to interpret whether it's an on or off signal. It is also important to note the need to deal with multiple channels, and not to interfere with other devices, and ensuring that when the device is shut down, the device is physically disconnected off the power supply. Of course, it goes without saying the device does not contain any sort of built-in battery that may be recharged while the device is in use. This new patent is based on technical studies and a large number of tests conducted during several months, many of which produced results that were deemed unsuitable for their environmental impact - a factor we’ve strongly taken into account. The method employed to achieve a standby circuit with zero power consumption is based on energy patterns. As far as our project is concerned, it doesn't emit any kind of radiation at all, which makes it entirely ecological. Page created at 2019-04-22 14:06:56, Patent Auction Time.